This Kieffer monoflap had Zelda’s name written all over it. When it comes to saddles, I have absolutely no control. I am always seeing saddles that I want to ride in. Even when I’m not actively looking they find me . . . on Craig’s list (which I never read), on eBay (which I try to avoid). These saddles are out there and trying to find me. What can I do other than buy them? Some people have a penchant for saddle pads. I could care less about them! Or bridles, for that matter. But saddles, that’s another matter. I am completely mystified by the people on equestrian bulletin boards who post about searching for months to find the “right” saddle, or who order custom saddles only to find out that they must have been custom made for someone else because they don’t fit them or their horse. My horses are pretty standard sizes, so that helps. But I’m not. I’m a hair under 6″ and have very long femurs. But I’ve ridden in so many saddles that I can usually tell by looking at them whether they will work for me. This is the Kieffer I bought last year. It’s cut with a more forward, longer flap and has a generous medium tree that fits Freedom. It was also just the right color for him. 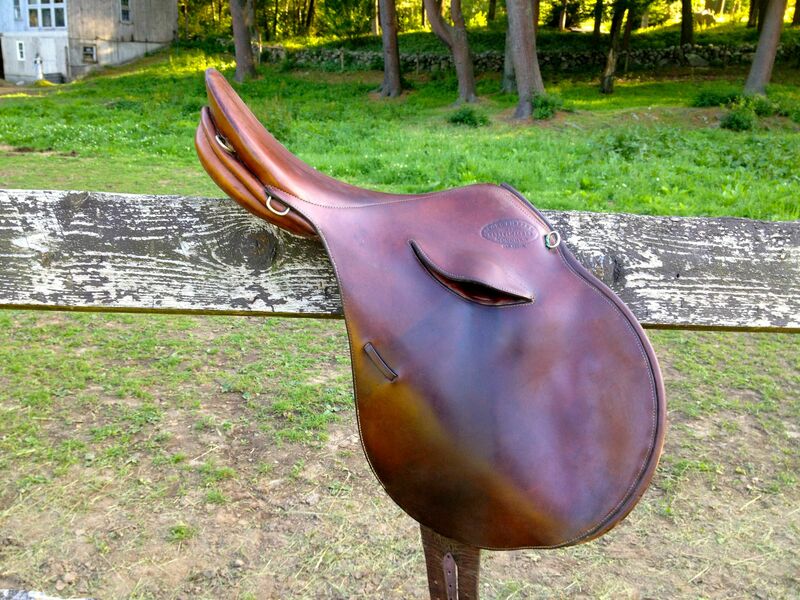 Luckily, for me, the saddles that catch my eye are used saddles, and typically not the uber expensive brands that happen to be in fashion today. Nope, I like a good old fashioned bench made British or German saddle. The older and more obscure, the better. Last year I managed to get my hands on a pristine, literally untouched Kieffer monoflap XC saddle. 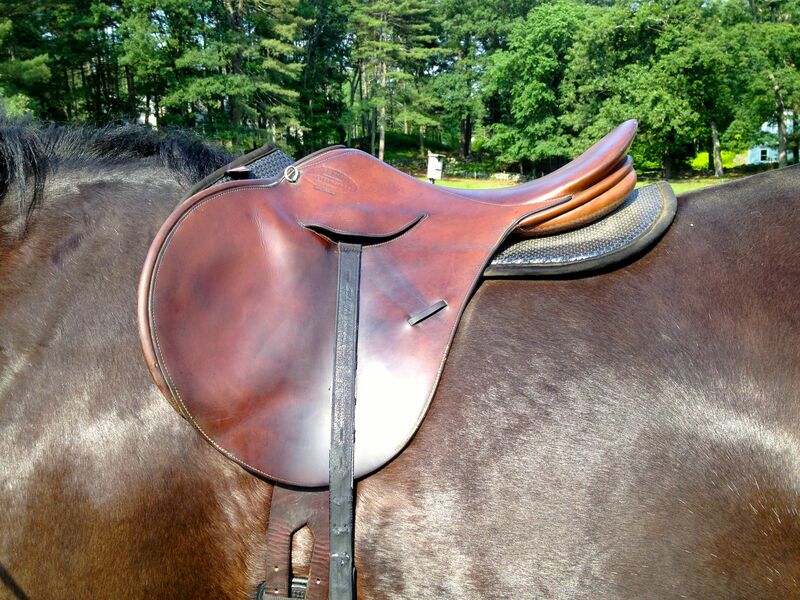 It fits Freedom — and me — perfectly and is one of the nicest saddles I’ve sat in for awhile. So, imagine my delight when a similar saddle appeared a few weeks ago on eBay — this time just the right size for Zelda. This one is not quite as forward as the “original” Kieffer but that was okay as the Zugspritz Springen Spezial is more of a true cross country saddle and I don’t need the very forward flap for every day riding. This Kieffer is also a monoflap. It has a medium-wide to wide tree and while it’s seen some use, is still in great shape for a saddle that’s pushing 35 or so. Like the one I bought last year, the new saddle has they Kieffer imprint over the pommel and a seam that runs down the middle of the seat. 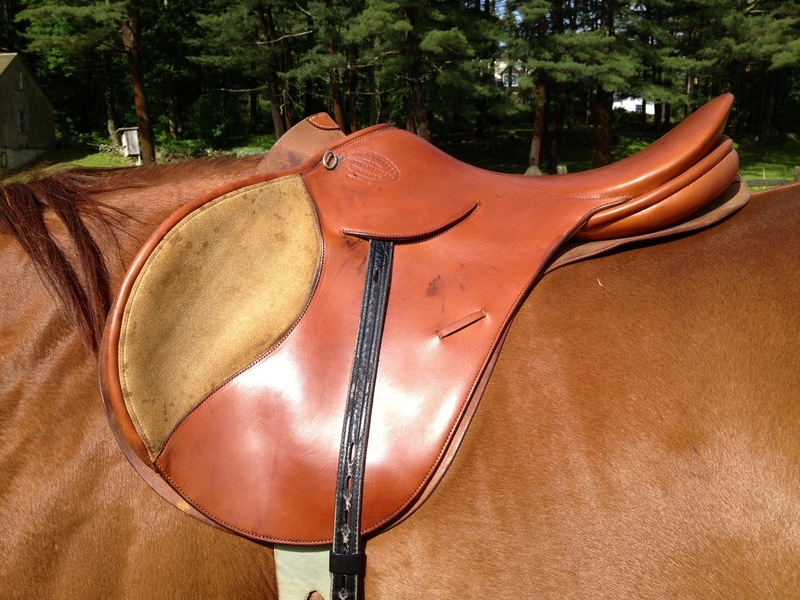 According to Kieffer in Germany, that means the saddle was manufactured sometime between 1974 and 1980. This saddle has obviously had more use than my Time Capsule saddle, but it’s still in very nice shape. The flocking is still soft, the leather is supple and the balance (for me) is just perfect. Even better? It fits Zelda beautifully. Just don’t ask me how many saddles I have in my tack room these days. And don’t be surprised if you see one or two for sale from me soon. interesting point of view regarding saddle taste. yes, much less expensive to like and get the second hand vintage model.